Michael Chambers Best album I've purchased on here yet. Such a great one. Favorite track: The Fog. Enzo Paolo Baranelli Only in mp3. No CD. It's a shame. Shame on you Deel Elm Records: idiots! Only a bunch of fools. Favorite track: The Fog. wonderdog RIYL Death Cab For Cutie; and/or The Decemberists; and, of course, The Postal Service. Luke Chant Folksy indie disguised as alt rock. Nice. Favorite track: Divide. 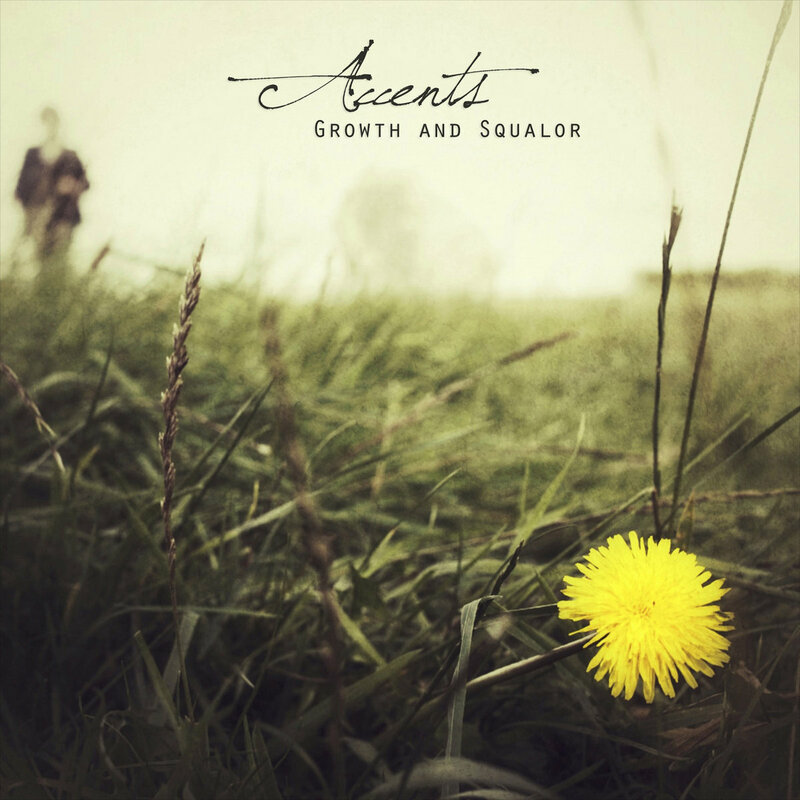 ACCENTS came out of nowhere...and in a big way with an astonishingly mature debut that oozes with indie rock bliss. I live for surprises like this. It's quite stunning how brilliantly Growth And Squalor is constructed...the combined result of the genuine, honest and often heartbreaking songwriting of TJ Foster matched with production wiz Benjamin Hemingway's keen knack for making the sweet sound even sweeter. "Alright With Me" and "The Fog" showcase the duo's ability to craft hooks that can't be denied. They take risks on up-tempo rockers like "Routine Movements" and "Divide," while also demonstrating they can piece together stripped-down, emotion-laden tunes like "Storms" and "The Low." When the angelic chorus enters the last verse of Storms, you're left utterly shattered...a moment tender enough to bring tears to the toughest of men. But it is the last track on the record that truly dictates Accents are much more than a one-trick pony. "Sorrow" builds up with an epic arrangement of atmospherics, gang vocals and pounding rhythms that sends chills down your spine. The words make you keep coming back, continually revisiting the album as if it were a call to action for the disillusioned, the jaded and the hopeless. But you'll find comfort in these songs no matter how you feel because of the worn, almost surrendering authenticity to it all. Accents has a masterful ability to juxtapose themes of frustration and detachment so perfectly with hopefulness and encouragement, leaving you content in the peace that indeed...there is a love that will find us all. Accents are TJ Foster (vocals, guitars, keyboards) and Benjamin Hemingway (bass, drums, keyboards, vocals). They reside in Albany, NY and Dublin, VA, respectively. Lauren Alexander also sang vocals (Sorrow, Divide, Around, The Fog) and performs with the band live. Both TJ and Benjamin are founding members of labelmates and post-rock outfit The Cast Before The Break. Benjamin also has a solo project called Living Chivalry. Jordan Stewart of The Cast Before The Break played guitar on Sorrow. Growth And Squalor was produced by Accents and recorded over the course of a year in two separate studios several states apart...never both band members being in the same room. Mastered by Mike Kalajian (Moving Mountains, Ace Enders, Athletics). Artwork by Matthew Bull.